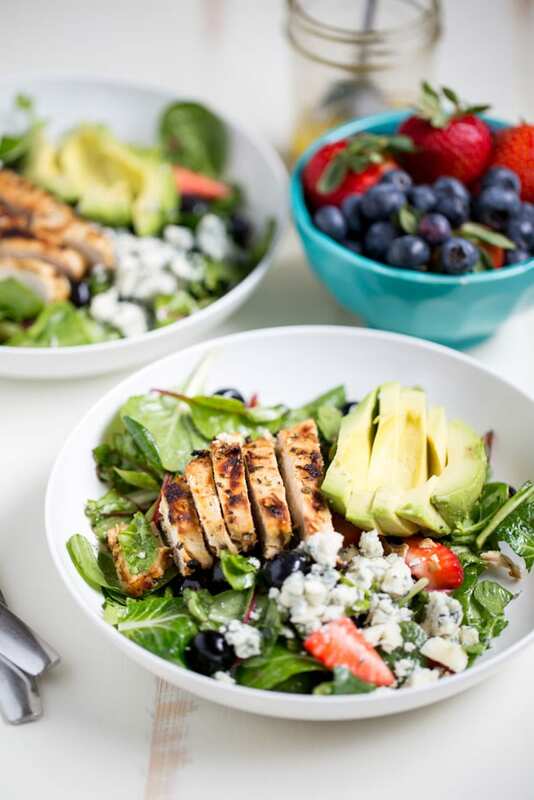 Gorgonzola Chicken Salad with Berries and Avocado is a fresh and healthy salad full of fresh fruit, gorgonzola, super greens and it’s dressed with homemade honey balsamic vinaigrette! This Gorgonzola Chicken Salad is a great way to use up leftover chicken. I made these salads with some leftover grilled chicken that we had. I tossed my favorite homemade honey balsamic vinaigrette with Organic Girl Super Greens, strawberries and blueberries and then divided the mixture between 2 bowls. I topped each salad with the chicken, half a sliced avocado and gorgonzola cheese. Super simple, visually appealing and incredibly delicious. 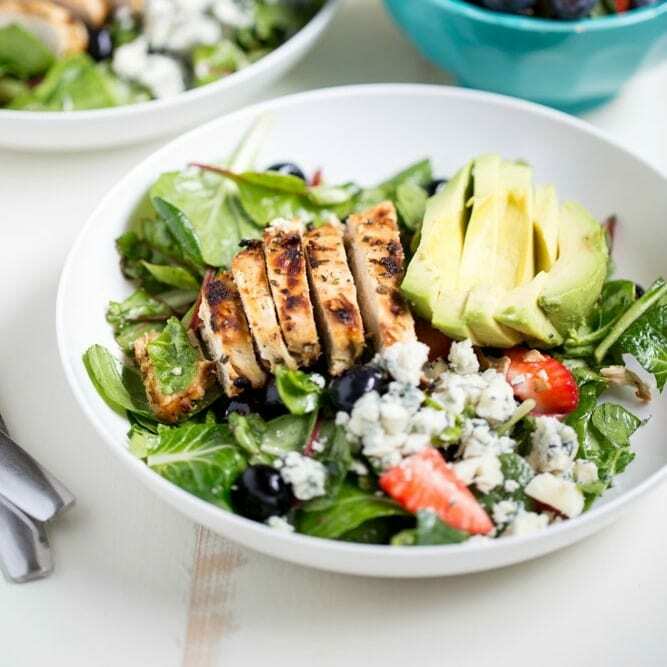 Gorgonzola Chicken Salad with Berries and Avocado is a fresh and healthy salad full of fresh fruit, gorgonzola, super greens and it's dressed with homemade honey balsamic vinaigrette! 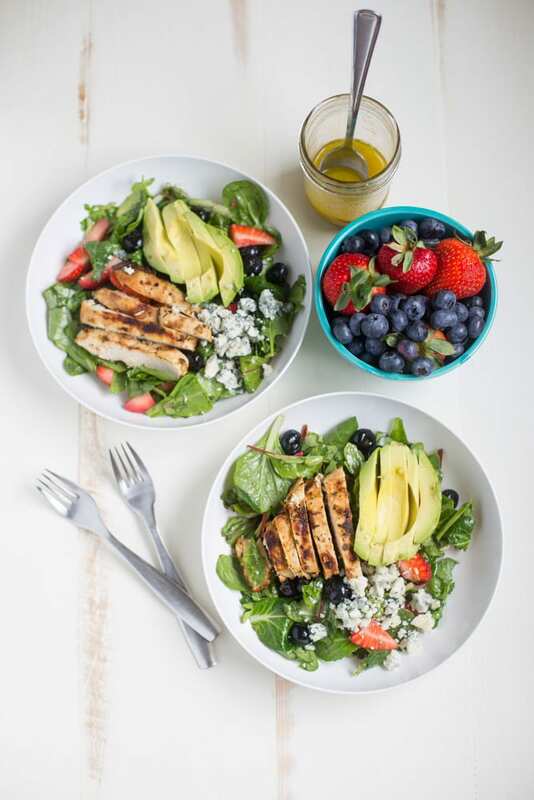 Toss the greens and berries with the honey balsamic vinaigrette. Divide the salad mixture among two serving bowls. Top with the chicken and avocado and then sprinkle each salad with 1 tbsp of Gorgonzola cheese. I love these type of salads to eat during hot weather. 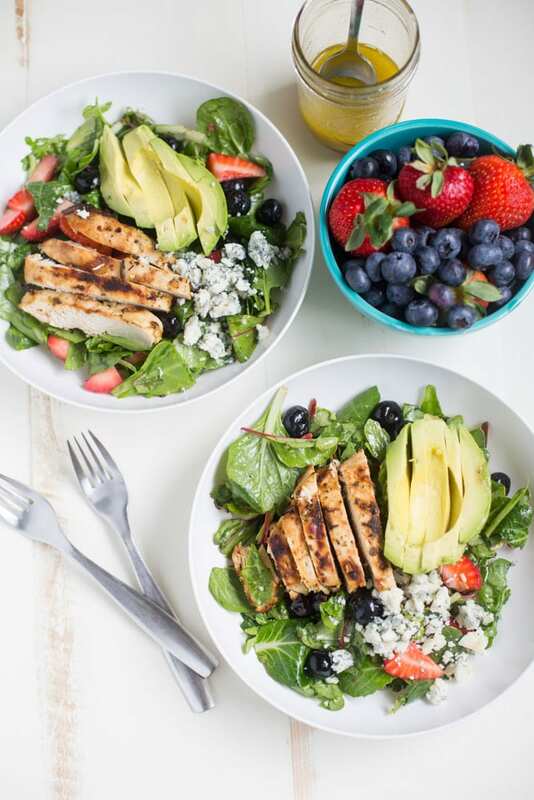 It looks so fresh and beautiful, the perfect meal for a summer day! I really appreciate your kind words. This is a great salad to enjoy during our hot Florida summer…and it is so pretty. I love gorgonzola! It is so divine. Pretty much everything on that salad looks really good, and simple. Beautiful food, beautiful photos! Thanks for sharing at #OverTheMoon! The colors in this salad are amazing and I look forward to having one soon. Now that is an amazing looking salad! Thanks for sharing on the What’s for Dinner Sunday Link up! Pinned your recipe to share and bookmark – it’s on my Must Try list. Thanks for the recipe! What a great salad that we will really enjoy! Hope you are having a great day and thanks so much for sharing your awesome post with us at Full Plate Thursday. I love everything about this but, I’ve never had gorgonzola cheese!! I must try it :) Thanks for sharing with us at Funtastic Friday! Your salad looks so yummy. I love chicken salads. Thanks for joining us at the Inspiration Spotlight party. Pinned & shared. Hey, Julie! 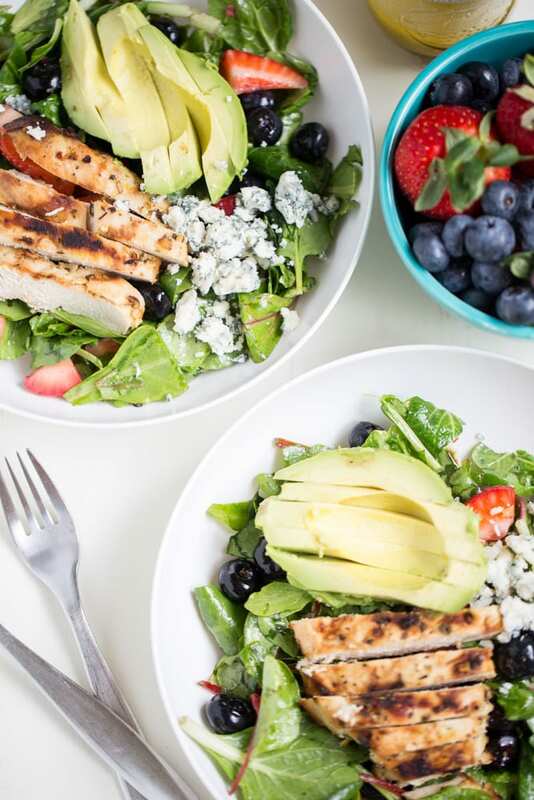 Just wanted to let you know that we loved your Gorgonzola Chicken Salad with Berries and Avocado so much when you shared it at the #HomeMattersParty last week, we’ve FEATURED it THIS WEEK! Hope you can check it out when you get a sec. Happy Friday!! !